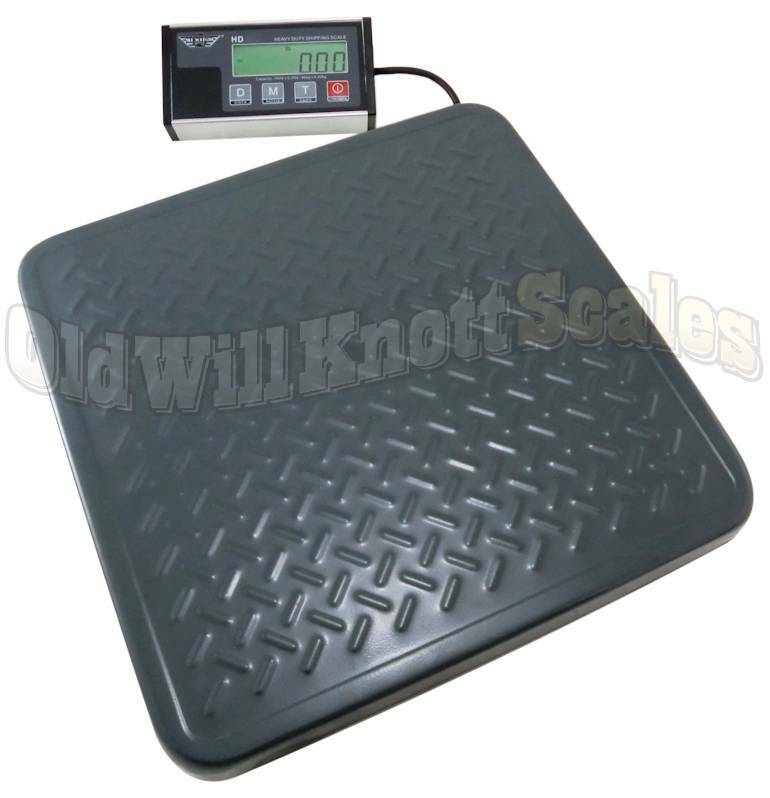 14" x 14" bench scale with programmable auto-off. Adjustable Feet To get the most accurate weight readings from this bench scale, it's best to keep it nice and level when weighing. This My Weigh shipping scale has adjustable feet that twist in and out, so the HD 300 can be level wherever you decide to use it. 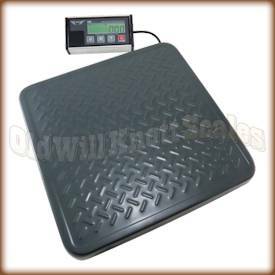 Durable, Painted Steel Platform The HD 300 commercial bench scale has a painted steel weighing platform for easy cleaning and long lasting durability. Painted steel resists rust and corrision making it perfect for industrial weighing such as shipping and receiving, spot checking, and more. USB Port The HD-150 has a USB communication ports built in for easy communication with printers, computers, monitors and more. Programmable Auto-Off Feature If you've ever had your scale turn off on ya in the middle of important measurements, you'll realize what a blessing this feature is. You can program the HD 300 to turn off automatically, or to stay on until you turn it off yourself. The springs that hold the batteries in place are too weak. This scale when used under battery power will easily shut off. The rest of the scale is great. It is too bad that the manufacturer cheapened out on the springs for the batteries. I have had this scale about a month now and absolutely love it. it is a great scale and at a even better price. easy to use and it is great that you can keep the scale on all the time without it shutting off. the usb cable to hook up with ups is a plus to. Great Product. 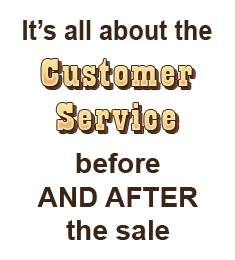 Wonderful Company with exceptional customer service !! We are using this as a wiegh in scale for our wrestling team and it blows our old scale out of the water! Very professional and looks great! Is this scale NTEP rated and able to be certified by the Arizona Department of Weights and Measures? Which hard case would this scale fit in for carrying and storage? This scale doesn't have a custom case like some of the other scales on our site. You can find all of the cases we offer in our Accessories - Carry & Storage Cases. Some people have fashioned their own cases using hard-sided, carry-on type luggage and lining it with egg crate-type padding. Thanks for checking!